The original Sands Alive!, the indoor no-mess play sand is bacteria-free, never dries out, and is flying off store shelves! It's fun to play with, stimulates creativity and is easy to sculpt, making it a great indoor and outdoor activity. Use your imagination and let your creativity soar! 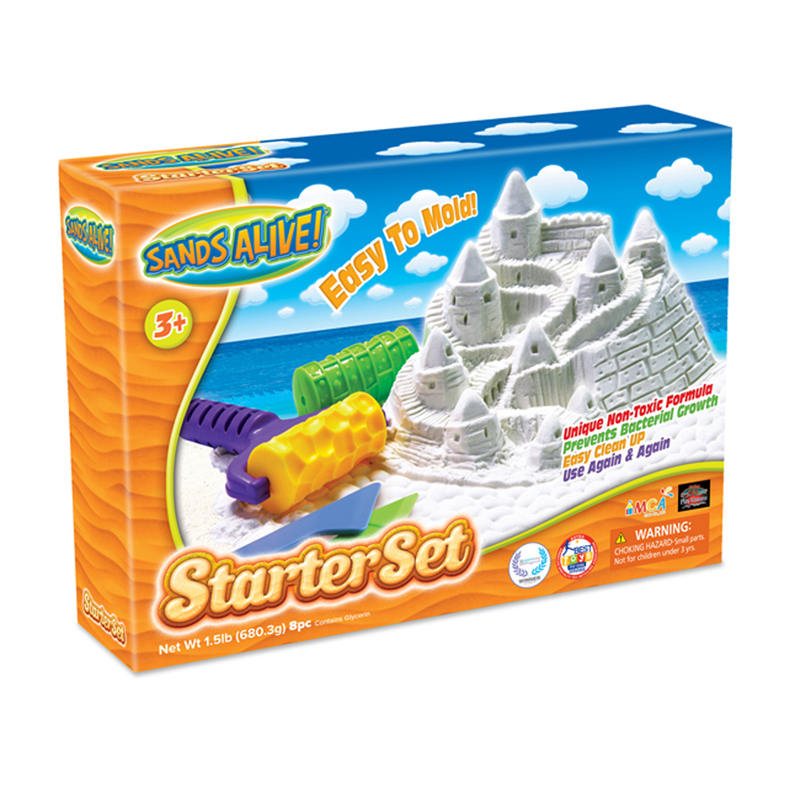 Includes brick and pebble rollers with interchangeable handle, 2 sculpting tools, convenient play tray and 1.5 pounds Sands Alive!